My research focus is to design automatic tools to interpret and process multimedia information for interactive management, retrieval, and reuse applications. I am generally interested in applied machine learning and multi-modal data mining. Massive Open Online Courses (MOOCs) have transformed distance learning, while "lifelong learning" has burgeoned as the lifecycle of skills has decreased. Our system targets professional learners who wish to augment their skills, without obtaining a degree or certification. Our recommendation engine integrates sequential pattern mining of course syllabi with a content-based pipeline to recommend users appropriate content to watch next. 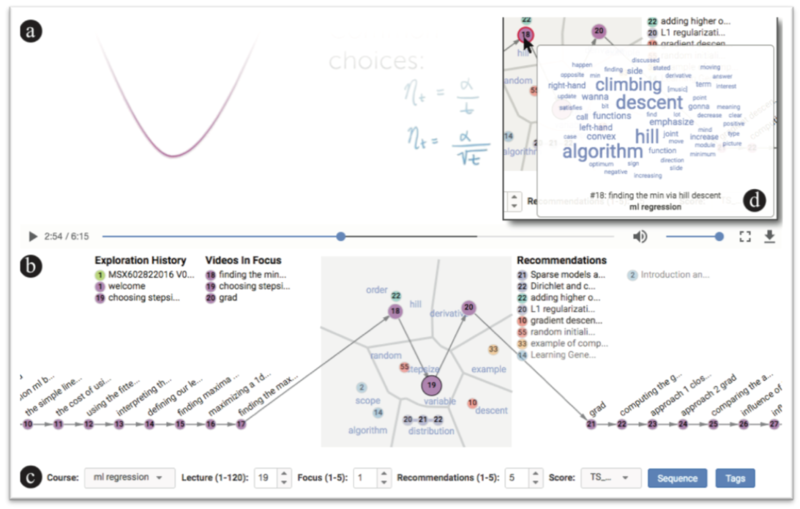 Our visualization interface enable users to understand semantic relationships between the current video and recommendation results from a corpus of over 4000 videos from machine learning MOOCs from various platforms. Relevant publications include [MMM 2018], [CHI 2018]. In previous work, we explored improving interactions with video by combining real time, client-side automatic content analysis with direct manipulation. We are extending this work in the mixmeet system. 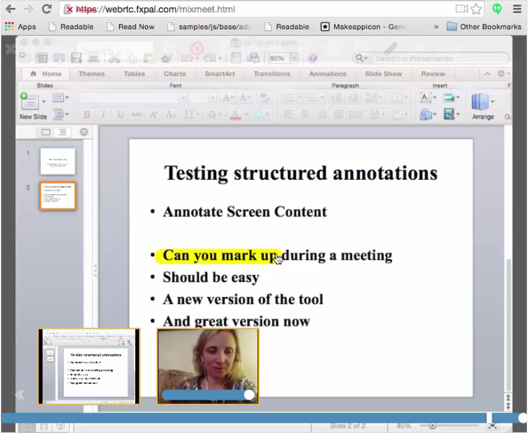 A current focus is building real-time search functionality in synchronous web meetings. Relevant publications include [DocEng 2015]. While there has been explosive growth in the use of location technology with mobile devices, these applications have been primarily limited to outdoor scenarios. 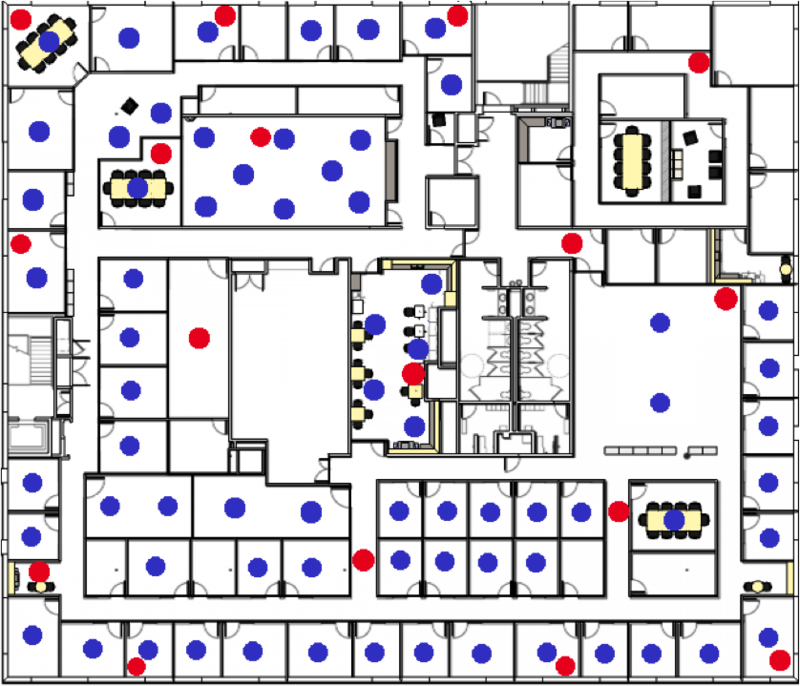 We are developing an indoor location framework that uses supervised learning with existing Wi-Fi infrastructure and users' personal mobile devices to provide high accuracy room-level location information for workplace collaboration and awareness systems. Relevant publications include [Ubicomp 2014], [Ubicomp 2015], [PUC 2016]. interactive multimedia applications: at FXPAL I have worked on multiple interactive applications that combine powerful user interfaces with content analysis. The common goal in this work is to augment users' ability to use and manage content. Areas of focus have been the development of scalable, generic analysis techniques and the selective exposure of intermediate results of automatic analysis within appropriate interfaces. content-based multimedia processing: at FXPAL I have worked on analyzing both the content and structure of multimedia data and data collections. This included event-based grouping of digital photos, video and audio segmentation and grouping, automatic media alignment, and automatic image annotation. 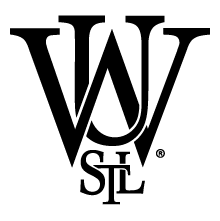 computer vision: my graduate work at Washington University in St. Louis formulated object recognition as a noisy communication problem. From this viewpoint, information theoretic measures characterize recognition perfomance. We also extended three-dimensional rigid object templates with a low dimensional representation of a random field to model the appearance of objects' surfaces.